Hope you doing great ! I've been very busy lately , i had to postpone this 3 times ! so let's get to it before i change my mind ... Hehe ! There are lots of great things about cashews... they're full of good fat and fiber, have no cholesterol, and lots of magnesium and almond butter, is full of vitamin E, potassium, magnesium, iron, calcium and phosphorus. Almonds are a good fiber source and also contain protein. Since i had some cashews and almonds (and motivation) in hand , i though I'd make some almond-cashew butter with a little personal twist ... chocolate !! 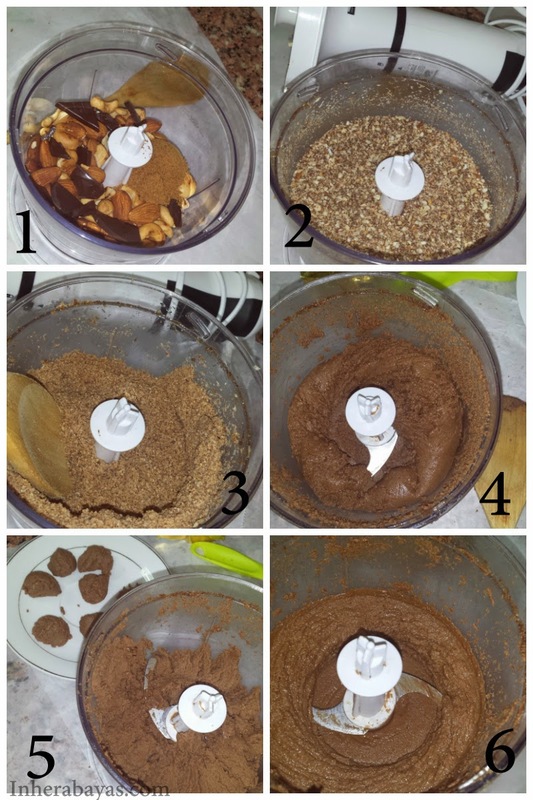 turn your blender on for few seconds until you have a coarse meal as in the photo 2.
blend until it starts to clump together , scrap down the sides to the center near the blades.(3-4). process a little more , and this time you'll get a dough like consistency . ( i kept some aside to make nut truffles ). keep blending and you'll eventually get a creamy smooth nut butter . See.. super easy right ? 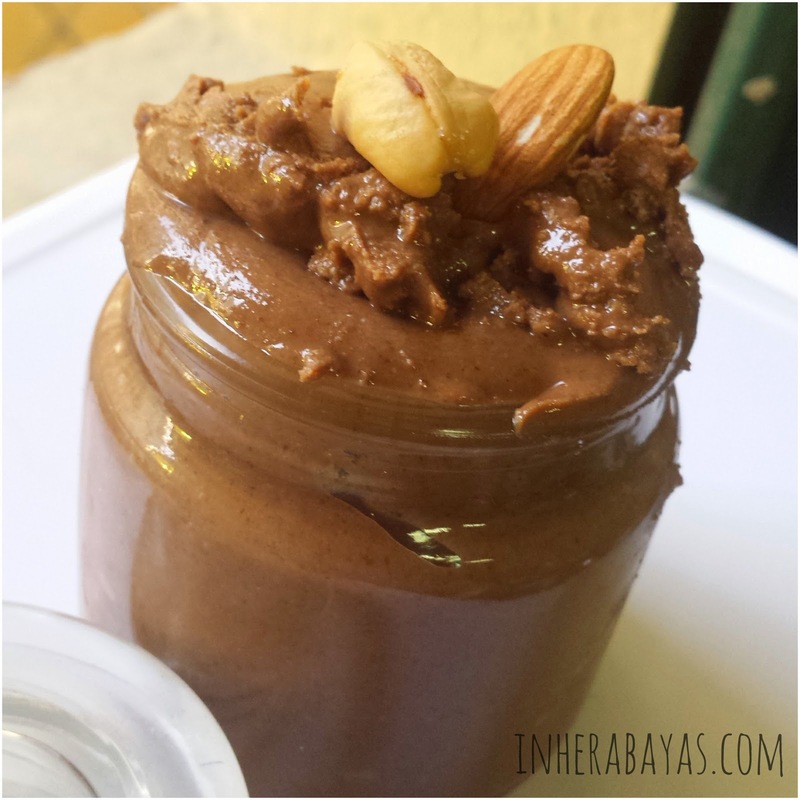 What's your favorite nut butter ? and how to you like to enjoy it ?